Rebel against convention with Liquid's Rebel Insulated Snowboard Jacket. This two-tone jacket is sure to make it easier for your posse to spot your moves in the crowded park. 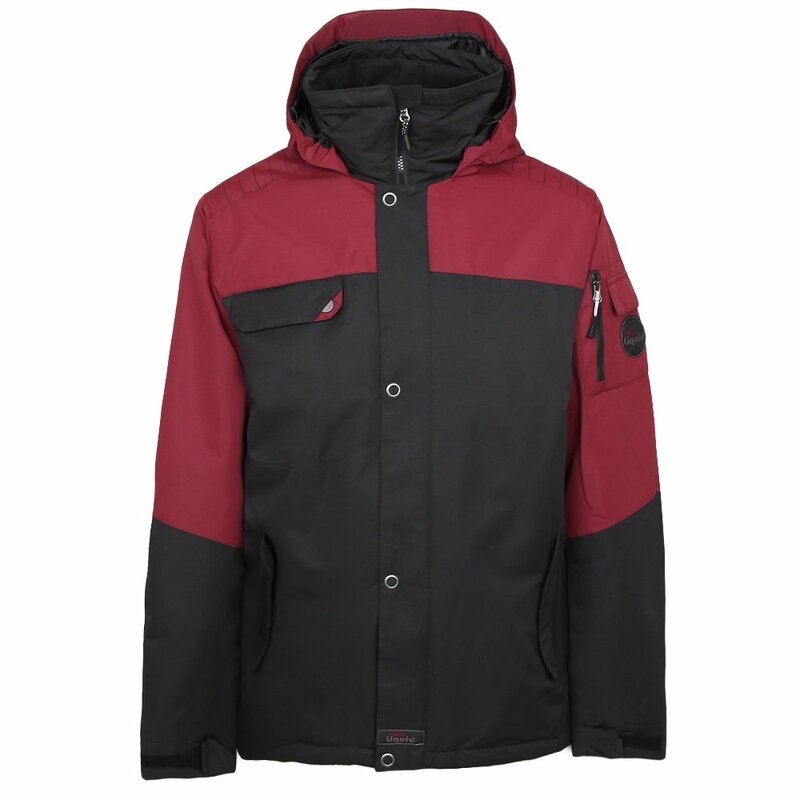 Its 10K waterproof-breathable fabric is warmed with extra-toasty 120-gram synthetic insulation. A series of pockets ensures that you have more than enough room for everything you could possibly need at the resort. The adjustable hood warms your ears and head whenever you need. Length: Center back measures 34"
This Liquid Rebel Insulated Snowboard Jacket is falling apart after one day skiing. Will be returning it.